Godly leadership is critical to the church, and Calvary recognises two formal leadership offices — that of pastors, elders and deacons. Calvary's pastors preach and teach God's Word, and shepherd and lead the people under their care. They safeguard doctrines and equip the congregation for ministry. Koh Kok Chuan is Lead Pastor of Calvary Baptist Church with primary responsibility for the English Congregation. He started serving full-time at Calvary in 2001, first as Church Administrator and then as Youth & Young Adults Pastor and Missions Pastor. He has a M (Div.) degree from Baptist Theological Seminary Singapore and a BBA (Hons) degree from National University of Singapore. Prior to joining Calvary, he had worked for 15 years with Singapore Airlines carrying out job assignments in Singapore, Indonesia, Japan and the United States. Ps KC is married to Jennifer for 32 years and they are wonderfully blessed with 5 children – 4 young adults and a teenager. His passion is supporting his favourite soccer club, Liverpool F.C. Tony Chia is Pastor of the Chinese Congregation (Mandarin and Hokkien) at Calvary. He has been very passionate in serving the Lord Jesus Christ since his conversion in 1980. He felt God's calling to go into full-time ministry at a youth camp in 1983. He is married to Priscilla and they have four children. He was Pastor at Yio Chu Kang Gospel Hall for 21 years. 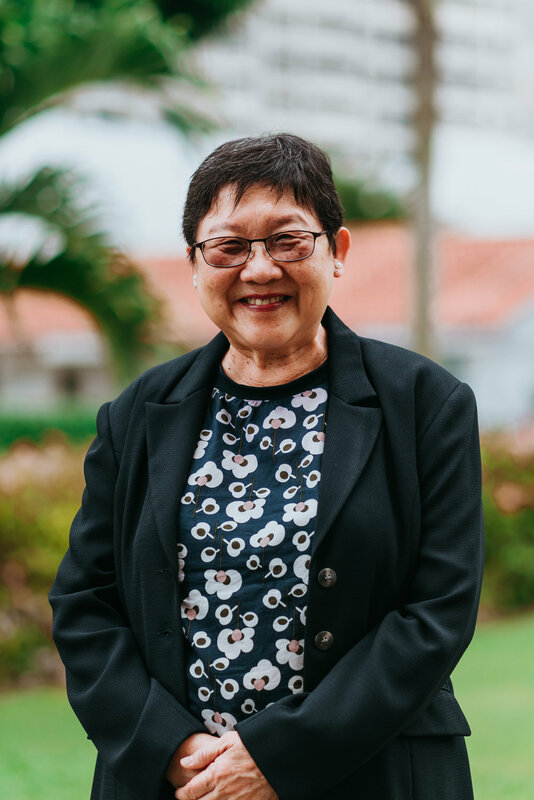 He was serving as Pastor and studying at the Singapore Bible College at the same time, before graduating with a Bachelor of Theology degree in 1988. He joined Calvary in 2008. Ps Tony's passion is to help believers grow in their walk with God. He loves to be with his family and to spend time reading books. John YK Wong oversees the Family Life and Christian Education ministry in Calvary. He was born and raised in Malaysia, accepted the Lord and was baptised at 16. He responded to the call for cross-cultural missions during his University days in Singapore. He holds a B.Eng (Electrical), an MBA (Finance), and the M.Div (Pastoral Ministry). He had spent a decade in the IT industry in marketing and management in both Singapore and Tokyo prior to going into full time ministry, subsequently with OMF (Overseas Missionary Fellowship) to Japan for six years, doing church planting and counselling work (together with his wife Tomomi). His passion is to see people reached, touched and changed through experiencing God and knowing His Word. Ps John loves nature, mountains, onsen and ramen… also loves his wife and their three boys! Elijah-James Ke is Assistant Pastor, Young Adults and Youth, at Calvary. He has been actively involved in both local-church and para-church Christian ministry among young people since his early teenage years. Having trained as an accountant at Nanyang Technological University, Ps James worked in the financial industry for six years. He answered God’s call to go into full-time local church ministry in 2012 and obtained his Master of Divinity from Fuller Theological Seminary, California, USA, in 2015. Since then, he has been pastoring young adults and youths aged 13 to 30 at Calvary. He and his wife Gail have two young boys. Ps James' primary passions include digging deeper into the Word of God, building up God's Church by connecting the Bible to daily life and sharing the Good News. He also enjoys following sporting developments worldwide. Deacons are godly and wise servant-leaders who lead in the church's matters. They are elected to four-year terms. Staff support and facilitate the ongoing ministry work in the church. Click here to find more information on available ministry positions at Calvary Baptist Church.